Justice S. Sandile Ngcobo is the former Chief Justice of the Republic of South Africa. He holds a B. Proc degree from the University of Zululand, an LLB from the University of Natal, and an LLM from Harvard Law School. Chief Justice Ngcobo also spent a year as law clerk and research associate of the late Honourable A. Leon Higginbotham, Jr., the former Chief Judge of the US Court of Appeals for the Third Circuit. His career was interrupted for a year in 1976 when he was detained and held in solitary confinement following the student uprising of 1976. Chief Justice Ngcobo set up the Legal Aid Services Clinic of the University of Natal, Durban and became its first acting Director. 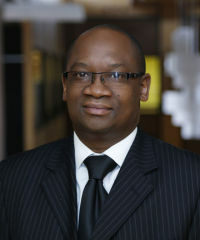 His judicial experience includes appointment as a part-time presiding officer in the labour Court, then known as Industrial Courts; presiding officer of the Independent Election Commission’s Electoral Tribunal, during the first democratic election in South Africa; a judge of the Supreme Court, Cape of Good Hope Provincial Division; a judge of the Labour Appeal Court; and a judge on the amnesty committee of the Truth and Reconciliation Commission. In 1999, Chief Justice Ngcobo was appointed the acting Judge President of the Labour Courts and Labour Appeal Court. In August 1999, he was appointed by former President Nelson Mandela to the Constitutional Court and he became Chief Justice of the Republic of South Africa in 2009, a post he held until his retirement in 2011. He is presently an acting Judge of the Supreme Court of Namibia. He regularly teaches as a visiting professor at various universities in the US, including Columbia University School of Law and Harvard Law School. He was recently appointed visiting Professor of Law at Cornell Law School for the autumn of 2014. In August 2013 he was appointed to Chair the Commission of Inquiry into Remuneration and Conditions of Service in the Public Service. He is the Chairperson of the Appeal Tribunal of The Ombudsman for Short-Term Insurance. Between 1 September and 31 October 2013, he was a fellow at the Stellenbosch Institute for Advanced Study, where he was researching the theory and practice of judicial review. His awards include the Ethekwini Living Legend Award; and the prestigious Sydney and Felicia Kentridge award. He is the Honorary Deputy President of the General Council of the Bar of South Africa. Before leading the School of Public Health, Professor Fonn spent a decade as research director of the Women’s Health Project. Previously Professor Fonn set up ‘Birth-to-Ten’ (now Twenty Plus), a unique birth cohort study following over 3000 children in Soweto, South Africa. Prior to that she served the newly developed trade union movement providing health and safety training and conducting research; and is an experienced manager-innovator of rural and urban public health services. Her work on cervical cancer and development of the national cancer control programme for South Africa and her work on health systems development “Health Workers for Change” is internationally recognized. Professor Fonn has taken a multidisciplinary approach to her work, using a mix of research methods, to work in a range of areas with the aim of impacting on policy and implementation of health and related interventions to improve population health outcomes. 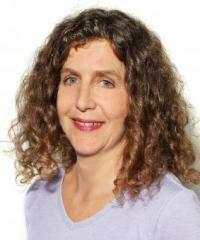 Professor Fonn was awarded the South African Ministry of Science and Technology’s Distinguished Scientist Award for contributions to the quality of life of women (2005), has been a member of the Academy of Science of South Africa since 2004 and was a Woodrow Wilson Centre Scholar. She has served on several national and international committees. Professor Fonn is widely published in peer reviewed journals, books and book chapters, technical reports and lay educational publications. An internationally recognized gender, women’s health and public health expert, Professor Fonn has led academic and non-governmental organizations, and has made significant contributions to advancing women’s health in South Africa and internationally. Lungiswa Nkonki is a Senior Lecturer at the University of Stellenbosch who completed her PhD in Health Economics at the University of Bergen in 2012. Her doctoral dissertation title was: “Health systems challenges in South Africa: Effective and equitable delivery of interventions to improve infant feeding and reduce mother to child transmission of HIV”. Her research interests include economic evaluation of healthcare programmes, measuring inequality in health outcomes, and understanding the determinants of attrition/retention of lay health workers. Dr Nkonki has published a number of articles in peer-reviewed journals and has also worked as a specialist scientist at the Medical Research Council. 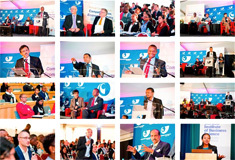 During his career spanning 22 years, Ntuthuko operated in various senior management roles within the health care industry. His most recent executive appointments have been with Metropolitan Health, Clinix Health Group and Biotech Laboratories. 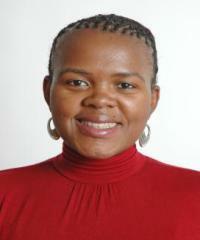 Dr Bhengu has worked mainly in health risk management and has a particular interest in provider reimbursement. His MBA thesis was on Managed Health Care in South Africa and an abstract thereof was published in the SA Medical Journal of November 1998. In 2004, Dr Bhengu was appointed by the Health Professions Council of SA (HPCSA) to review and propose Medical and Dental Board Tariffs in response to the abolishment of collective tariff negotiations by the Competition Commission. He was re-appointed by the HPCSA to propose ethical tariff guidelines for twelve more professional boards for the year 2006. 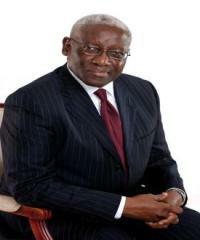 Among other non-executive appointments, Dr Bhengu was appointed by the Minister of Health to serve on the Pharmaceutical Pricing Committee Working Group in 2002. Dr. Bhengu is a non-executive director of Nestle (SA) (Pty) Ltd and Chairman of the Board of Directors of the Road Accident Fund. Cees van Gent is an economist with extensive experience in competition economics, economic regulation and competition in healthcare markets. He was involved in the design and implementation of the competition policy framework in the Netherlands and was the first Director of Competition of the Dutch healthcare Market Authority from 2003-2005. Thereafter, he was involved in a programme aimed at improving transparency in Dutch healthcare markets, which developed a comprehensive set of healthcare quality indicators against which quality of care and system performance could be measured. Since 2010 he has acted a strategic advisor on competition and healthcare matters to various governments. 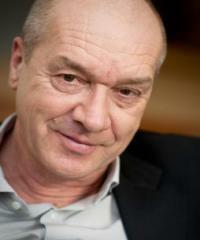 Drs van Gent holds a Masters degree in economics from the University of Amsterdam. Between 1983 and 1989, he served as assistant professor of Industrial Organisation at the University of Amsterdam and the Open University.irectors of the Road Accident Fund. 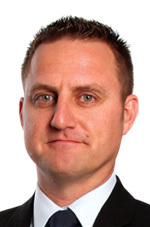 Clint Oellermann is the Inquiry Director for the Market Inquiry into the Private Healthcare Sector. Clint joined the Commission in October 2012 as the Divisional Manager of Enforcement and Exemptions division and then appointed as Divisional Manager at the Commissioner’s Office.